The resort is set amongst 3.5 hectares of tropical gardens in the village of Batuan, which is a 25-minute drive from Ubud, Bali's hub of culture and history. The resort offers breath-taking views out onto the river and rice fields, and is only 5 minutes from Bali Bird Park and 45 minutes from the Ngurah Rai International Airport. The resort, offering 27 spacious villas, is the perfect place for total relaxation and retreat in a tropical paradise. 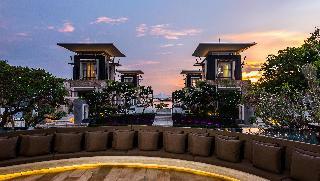 It features a combination of Balinese-style architecture and modern design. Guests are welcomed in the spacious lobby which has a 24-hour reception desk, and the resort organizes a wide range of activities for guests, including yoga, Balinese dancing and cooking courses as well as cycling and hiking excursions. Visesa Ubud Resort Located on suweta street, Banjar Bentuyung sakti, Ubud, Gianyar, Bali. 5 minutes drive from Ubud center and 75 minutes drive from Ngurah Rai international airport. 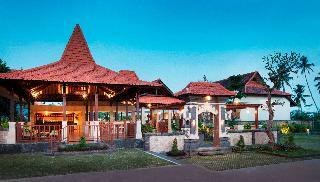 Visesa Ubud Resort is a culturally-inspired property in the heart of Ubud, Bali. Spread across almost 5 hectares of natural landscape owned by the Ubud royal family, the resort was conceived, to be an extention of nearby palace. it has been designed to capture the essence of a Balinese village satisfy curiosity about daily life on the island. 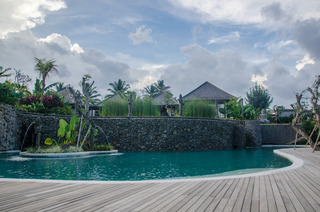 while the resort anticipates the needs of discerning travellers with modern lifestyle facilities, it also offers a unique opportunity to learn about Bali's and it's rich agricultural heritage. Visesa Ubud Resort has been designed to create the harmony of a traditional balinese village in a conscious effort to respect the surrounding environment. Nestled in Bali's cultural heart, the Best Western Premier® Agung Resort Ubud is the perfect place to unwind and discover the island's true soul. Capturing the classical charm and beauty of Bali through its interior and exterior design, this charming upscale resort is surrounded by verdant jungle. Located close to the main attractions of Ubud, including its galleries, workshops, museums and markets, the resort features just 75 spacious rooms adorned with wooden floors, traditional Balinese furnishings and modern amenities, including free Wi-Fi. Guests can unwind in the tropical outdoor pool or enjoy soothing treatments at the spa, which harnesses organic herbs and ingredients produced by an onsite farm. 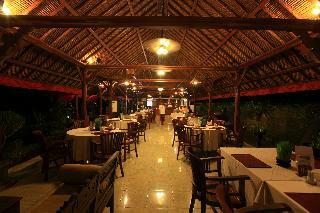 There is also a restaurant that serves exquisite local and international cuisine. To truly immerse yourself in Balinese culture, while enjoying the upscale comfort of an international resort, the Best Western Premier® Agung Resort Ubud is the perfect choice. This wonderful resort sits proudly on one of Bali's best stretches of sand at Tanjung Benoa, on the Nusa Dua peninsula, looking out over the sparkling sea, home to every watersport imaginable. The resort consists of luxury pool villas and suites, many opening directly onto the expansive lagoon pool, and all with a living room and discrete kitchen. The beach club, home of the top-rated Sakala Bali Restaurant, has a second stunning pool and is open to day visitors of all ages, while the younger ones might like the kid's club and pool. To complete the experience, the property also boasts one of the best gyms on the island as well as a spectacular newly opened spa sanctuary. In addition, this resort is especially well set up for weddings, parties, corporate events and conferences, with extensive space both indoor and beachfront.Rooms Descriptions:Lower-ground Studio Room (NO VIEW) Blending contemporary Balinese texture and design elements, the room is situated on the lower ground floor with an enclosed view. This 54-sqm room also features a marble bathroom and a vanity area.Deluxe SuiteFitted with air conditioning and wooden flooring, these spacious 62 sqm suites features a kitchenette, dining table and a living area with a flat-screen cable TV. The ensuite bathrooms come with a bathtub and luxurious bath amenities.Deluxe Pool View SuiteMade up of an impressive 62sqm, these deluxe suites overlook the entirety of the resort. With the massive glistening pool flowing right underneath, the stunning suites are also equipped with its own private balconies and ensuite bathrooms.Deluxe Pool Access SuiteMade up of an impressive 62sqm, these deluxe suites are conveniently connected directly to the pool. Two-bedroom Family VillaSet amidst the lush greens of The Sakala Resort Bali, The Sakala Villas is a dreamy gateway for those craving for a little more privacy. Anulekha Resort and villa is a boutique resort villas Situated in the heart of Lodtunduh nearby a well-known home wood carving of Mas, Ubud. The location is far from the crowded and busiest cities on Bali Island, but it is easy to reach the hearth of Ubud and Anulekha Resort & Villa is close to Gajah Mas Gallery, Ubud Monkey Forest, and Arma Museum. Also nearby are Bali Zoo, Rudana Museum, and other tourism objects on the area. It retains an exotic ambience of a private retreat.it's suitable for all ages of groups such as honeymooners, wedding anniversary, new couples, families, and groups. Its natural environment surrounding, breeze the palm trees and rice-field retains exclusive ambience of private retreat. The nuance and atmosphere make it full of peace, romantic, privacy and luxury. Welcome to Maison At C Boutique Hotel and Spa by Renotel, Seminyak. Where the beautiful decoration and design perfections meets with the excellent of service. Immersing the feeling of a private home, our bright open spaces concept will bring you different taste of enjoyment and will creates memorable holidays in the land of God.Standing on a large scale of land, lining up 75 Rooms and 4 Private Pool Villas, our 4-Star accommodation is one of the best choices to stay at Seminyak area. Situated in the prime location of Seminyak just a few minutes' drive from famous beaches, restaurants and shopping districts in Bali. Guests can reach the stylish boutiques and amazing restaurants in Seminyak within just a 12-minute walk. Ngurah Rai International Airport is a 15-minute drive away, the friendly staff can help arrange for airport transfer, while the concierge can assist with luggage storage. 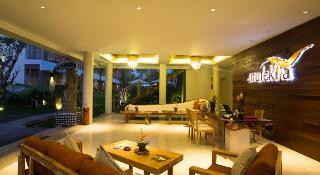 The villa is located in the culturally charged village of Ubud. The property has a fantastic rice terraces view and is within walking distance to Ubud's sacred Monkey Forest. Its neighbourhood is filled with vibrant energy and home to a number of specialty shops, art galleries, cafes and lifestyle pursuits for health conscious guests. The villa's rooms are spacious, fully furnished, offering beautiful views. 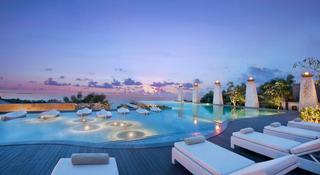 This luxurious beach hotel is perched on the cliffs of Bali's southernmost peninsula. The International Airport is approximately 12 kms away.The air-conditioned establishment has 73 guest rooms spread across 3 storeys. Business guests can use the conference facilities. Each guest room is equipped with an LCD TV with satellite/cable channels, a BOSE stereo system, wireless Internet access, an international direct dial telephone, and individually regulated air conditioning. Furthermore, the accommodation units are fitted with a Balinese-style outdoor shower. The establishment has an outdoor pool and a children's swimming area. Guests can also use the gym or hire mountain bikes for both adults and children. A hot tub, and massages and spa treatments are available. The hotel restaurant serves a breakfast buffet, as well as set menu and à la carte lunches and dinners. Nestled in a secluded location, the Resort is 10 minutes from the hustle and bustle of Ubud and only 60 minutes from Ngurah Rai International Airport. This 28-room club Resort is perfect for travellers looking to recharge mind and spirit. Its design features the textures and colours of nature, slate, tiles, smooth unpainted wood, soft homespun fabrics, intricate worked copper, fragrant alang-alang grass roofing, natural bamboo, rough cut stone and flowers and foliage, giving it a unique, traditional style. In addition to a private bathroom with a shower, in-room amenities include an Internet access and individually regulated air conditioning. Guests can enjoy a dip in the outdoor swimming pool. Alternatively, they can take advantage of special relaxing massage at Aura Spa and delicious food at Abangan Restaurant.Puri Sunia Resort...where magic happens and all experiences are enchanted.